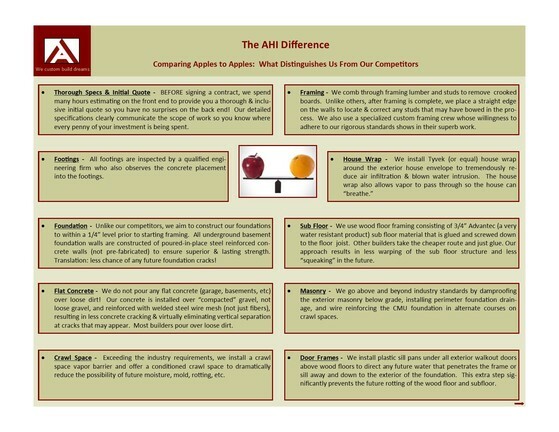 See The AHI Difference For Yourself & Why We Are Richmond's Go-To Custom Home Builder. Have you missed out on pertinent information & feel out of the loop? View our past Newsletters now.. 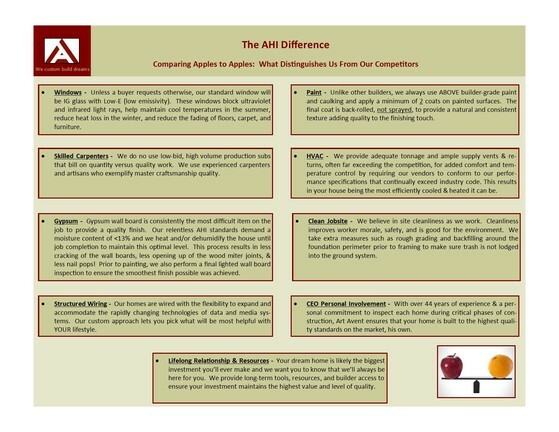 When choosing a builder, please compare apples to apples. We've put together the below diagrams to help better assist you in asking relevant building practice questions to each builder you are considering. Your home is likely the largest investment you will make, do your research and invest wisely!